While the Department of Labor’s fiduciary rule was officially vacated in June, an order by a Texas judge issued later in the month means states could challenge the decision until this Thursday, BenefitsPro writes. Although the Fifth Circuit Court of Appeals’ mandate to vacate the rule June 21 came six weeks after it was originally expected, it was seen by many as the final nail in the coffin of the rule that purported to require retirement account advisors to put clients’ interests first. But on June 28, Barbara Lynn, chief judge for the U.S. District Court for the Northern District of Texas, issued an order advising anyone seeking “further relief” to let the court know by July 12, BenefitsPro writes. Lynn had upheld the fiduciary rule in February. Without giving much detail about how this relief could be sought, Lynn’s June 28th order indicated that if no further action were requested, litigation over the fiduciary rule would be dismissed, according to the web publication. And on July 2 a document issued jointly by attorneys for Thrivent Financial for Lutherans and the DOL in a Minnesota District Court clarified Lynn’s order: anyone who wants to still save the rule in the Fifth Circuit has to request action by July 12, BenefitsPro writes. 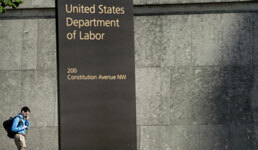 Thrivent had sued the DOL in 2016, targeting the rule’s provision barring broker-dealers from including class-action waivers into contracts with clients, according to the web publication. The court in Minnesota eventually issued a temporary injunction of the DOL’s rule and then issued a temporary stay, pending the Fifth Court’s decision, BenefitsPro writes. Now, both the DOL and Thrivent, citing Lynn’s order, are seeking an extension of the temporary stay, according to the web publication. State attorneys general from California, New York and Oregon had attempted to save the DOL’s fiduciary rule, appealing to the Fifth Circuit after the court decided to vacate the rule in April, but were refused. The DOL, meanwhile, appeared to have given up when it let the clock run out on appealing the Fifth Court’s decision last month. Whether the attorneys general will now take action is unclear: BenefitPro’s inquiries to California, New York and Oregon AGs went unanswered, the web publication writes.